Google’s Pixel Slate convertible PC is the newest showcase product for its browser-based Chrome OS. Announced on Oct. 9 at the Made by Google event, it aims to show the world that Chromebooks are for premium users, too. Starting at $849, it’s available now for pre-order from the Google Store. The Pixel Slate isn’t the first high-end Chromebook Google has released, that honor belongs to the Pixelbook, an attractive laptop that features a 360-degree hinge. The new Pixel Slate is an extension to the Chromebook family and opens the Pixel line to the convertibles frontier. Despite its deceptively thin profile, the Pixel Slate is noticeably heavier than the average tablet. 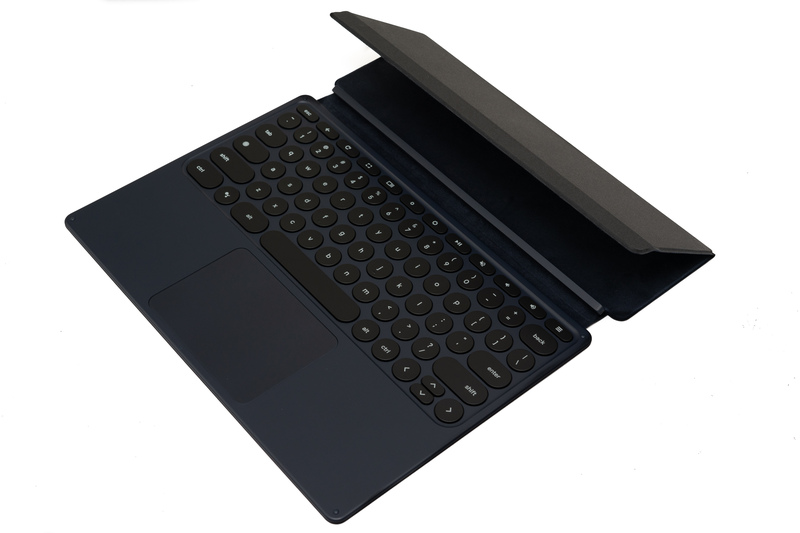 At 1.6 lbs, it weighs about the same as the Microsoft Surface Pro (1.7 lbs). 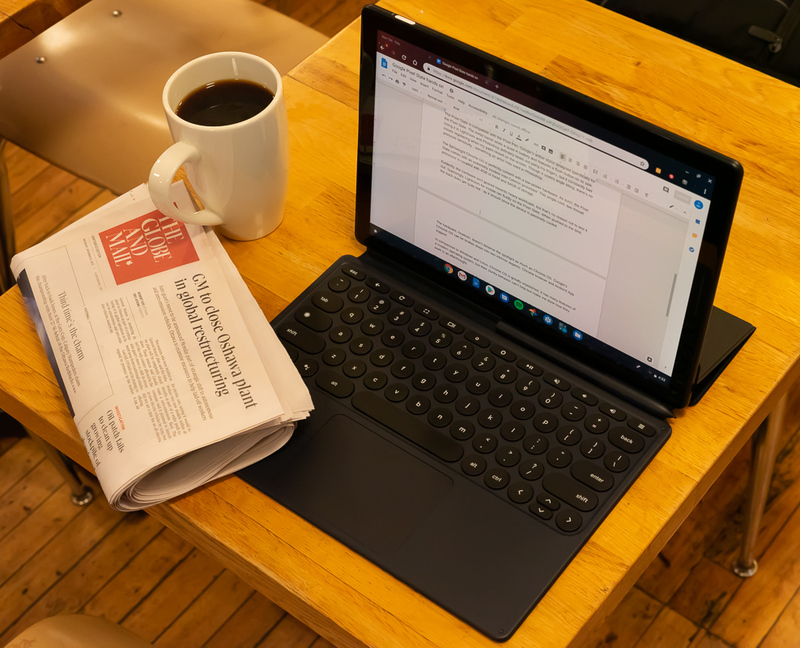 Its Pixel Slate keyboard cover – a mandatory accessory if you want any sort of productivity – adds another 1.1 lbs. The weight isn’t without cause. The unit is expertly crafted from aluminum and edge-to-edge glass. Though the raw aluminum back attracted fingerprints like crazy and may be equally prone to scratches, the build of the unit does provide some assurance regarding its longevity. Though it’s somewhat heavy, it’s equally compact as most Ultrabooks and had no problems slipping into my backpack. 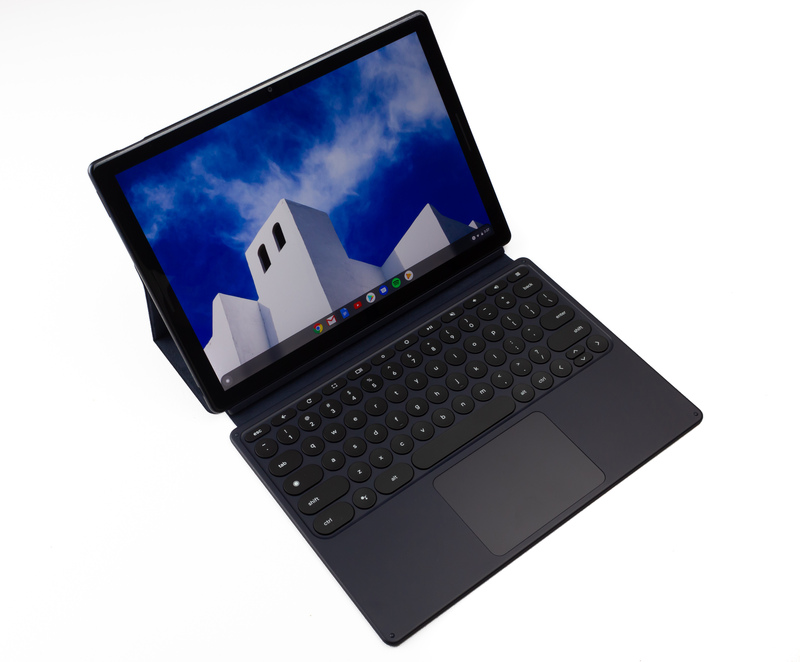 Being a convertible, the Pixel Slate can transform into a tablet by detaching the keyboard cover from the base. While it’s great for great for quickly passing it to others for viewing, I had a hard time using it during my commute due to its sheer size. It’s just too big for getting work done on a crowded train. There isn’t much to complain about its 12.3″ display, though. Carrying a 3,000 x 2,000 resolution, its 3:2 aspect ratio is well-suited for document viewing. Google claims it covers 72 per cent of the NTSC color space, which means it doesn’t cover 100 per cent of Adobe sRGB color gamut. This will dissaude photographers looking to edit on the go. Two large magnets securely latch the Pixel Slate to the keyboard cover: one at the charging connector and one at the rear. To test its security, I dangled the unit by the cover and shook it vigorously. Fortunately, the Pixel Slate stayed firmly docked. Circles are better than squares – at least that’s the way it looks to Google. I think this is a throwback to the typing machines. Whatever the case, the keys are actually very tactile despite their shallow travel. The keys are cushioned when bottomed out, which reduces their noise and dampens the impact. They’re backlit well to help visibility in the dark. A commodious wrist rest area houses a large glass trackpad. It’s fairly accurate and offers a very tactile click. 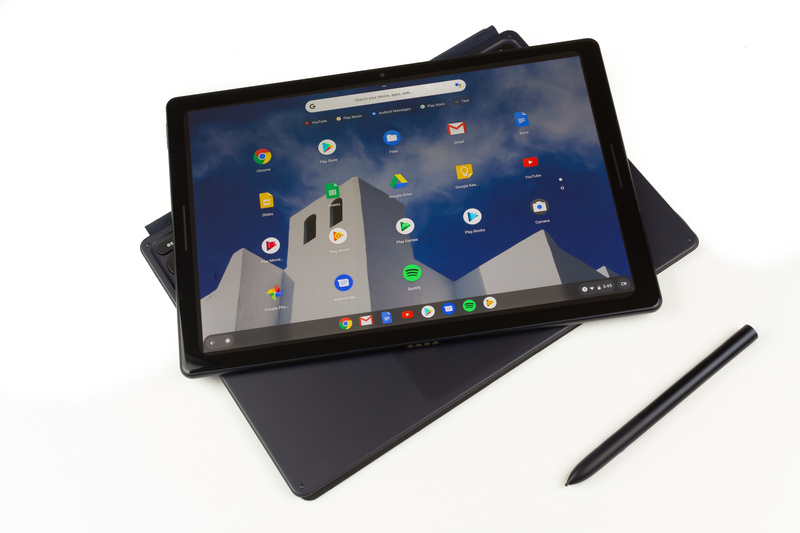 The Pixel Slate is compatible with the Pixel Pen, Google’s active stylus designed specifically for the Pixel Slate. The metal barrel seats a quad-A battery and features a flush button on its side. Using it in Lightroom and Photoshop definitely beats out using my fingers, but it has issues registering when my palm rested on the screen. Though it covers angle tilting, there’s no pressure sensitivity – something an artist may want in Photoshop. The lightweight Chrome OS is perfectly content with a low-power hardware. While our review unit is loaded with a dual-core Intel Core-i5 8200Y processor, 8GB of RAM, and 128GB of storage, $849 base model comes with an extremely modest Intel Celeron processor. This power-sipping processor is coupled with 4GB of RAM and 32GB or 64GB of storage. The hardware can be raised all the way to an Intel i7 processor, 16Gb of RAM, and 256GB of storage for $1,999. Though the Pixel Slate doesn’t use quad-core i5 processors, Lightroom still runs fairly smoothly on the Pixel Slate. When pushed to the limit, the back does get quite hot – as it should since the device is passively cooled. The hardware, however, only deserves half the spotlight, the other half belongs to the reworked Chrome OS. 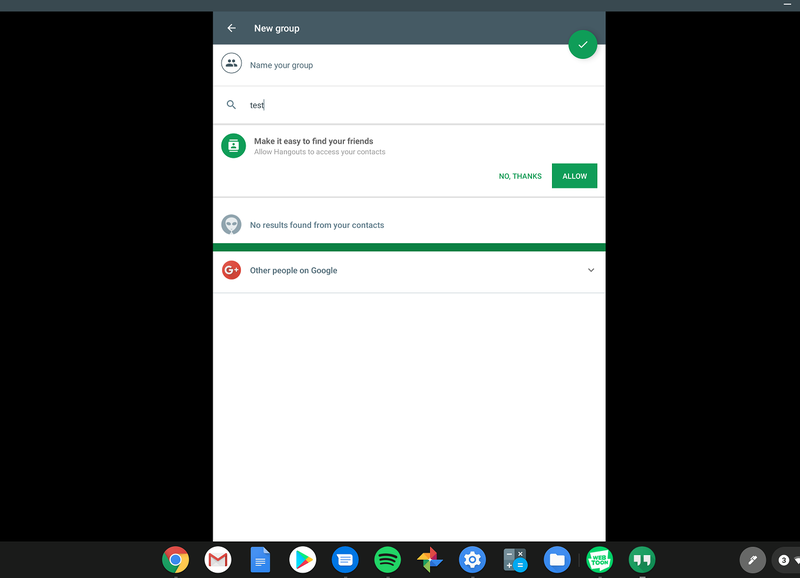 Google’s Chrome OS can be broken down into two intrinsic aspects: Chrome browser and Android App support. In comparison to Windows and macOS, Chrome OS feels unpolished. It has all the right features of a modern operating system, but they can be glitchy. Google Hangout app doesn’t mesh well in full-screen landscape mode. For example, you can launch Google Assistant using voice or a dedicated Command button. 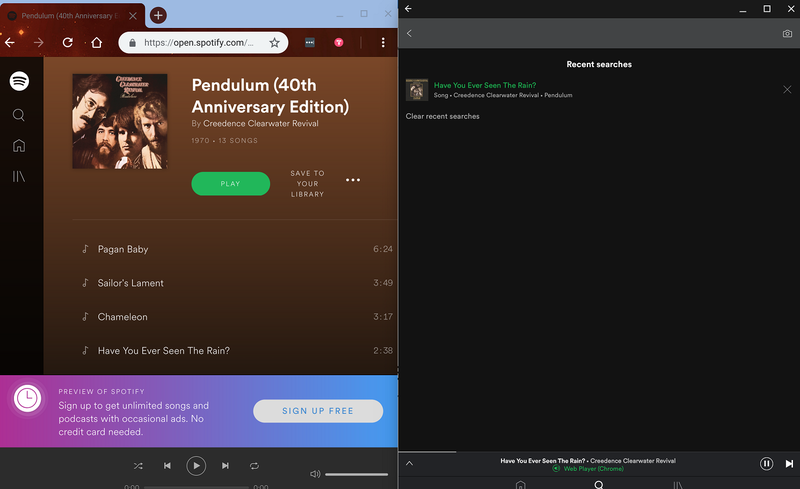 It’s a welcoming design that resembles Windows’ universal search and Apple’s Spotlight, but it can only take me to the web browser when I ask for things like “Open Gmail app” or “Play song on Spotify” despite these apps being fully present on the local storage. Google Assistant insists on launching the Spotify web player despite the app being present. Add the low-power chip, a light operating system, and a massive battery together and you get amazing battery life. In the two days that I’ve had the device, I’ve only had to charge it once. It’s 3:38 PM as I’m typing this article, and the Pixel Slate still has 56 per cent battery remaining from a full charge at 6 AM. At its current stage, my time with the Google Pixel Slate has been a roller coaster. Protruding from its excellence are thorns that make my experience more painful than it should be. And while the web-driven Chrome OS is enough to handle my daily writing and emails, it may be a little austere for power users coming from Windows and Linux. 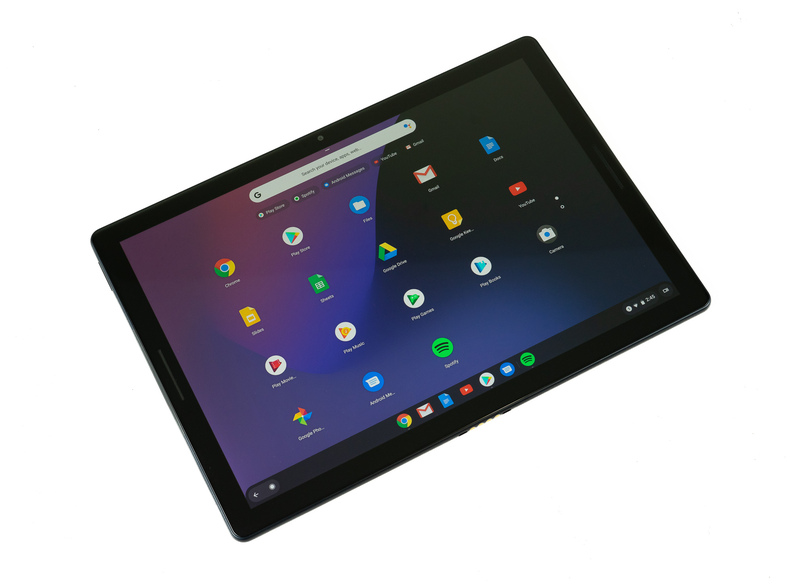 I’ll be scrutinizing the Pixel Slate in detail in my full review.